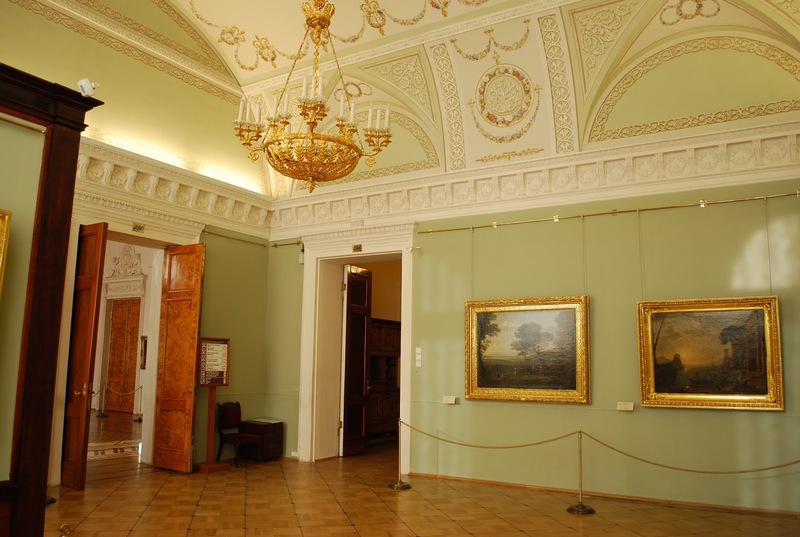 ( #263 to #281 http://winterpalaceresearch.blogspot.ca/2016/10/plan-list-of-2nd-floor-of-winter-palace.html) in the southeast corner of the Winter Palace, facing the square. The empress rose at five in the morning, lit her fire and then made coffee for herself. One day, unaware that the sweeper had climbed the chimney, she lit the fire and then heard swearing coming from the fireplace.. He yelled the coarsest words down believing it was the stove-lighter. The Empress hastened to extinguish the fire, laughing heartily. 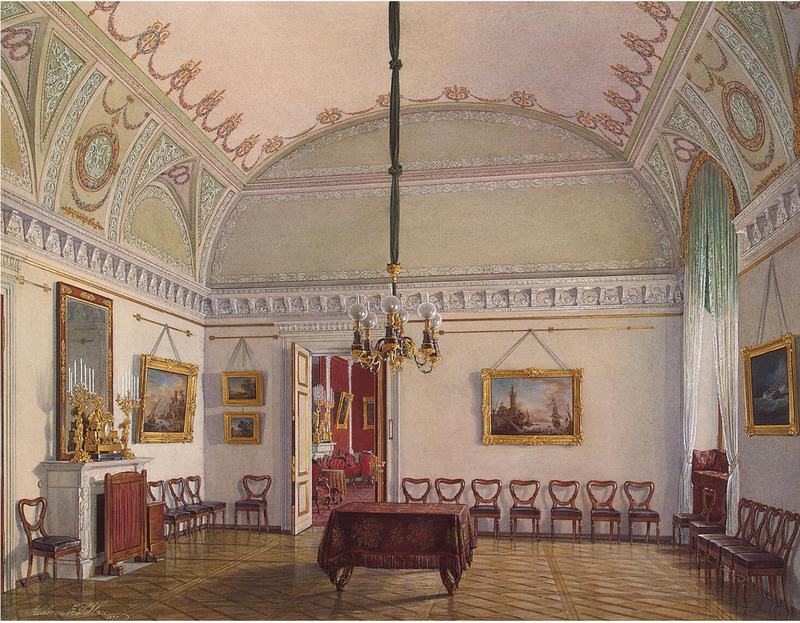 Alexander I renovated his grandmother’s rooms for a visit by King Friedrich Wilhelm III of Prussia in June 1818. He was the father of Nicholas I’s wife Alexandra. She wrote that, the first night, they had a family dinner in the small room above the porch (280) overlooking the square. The ladies sat at the table and the men ate standing up. The rooms were destroyed in the 1837 fire. 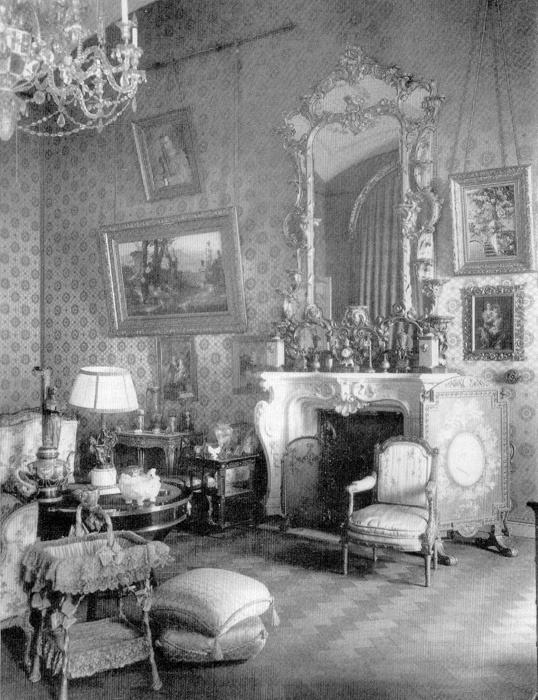 A hundred years later, during the reign of Nicholas II, a chambermaid lit a fire in the fireplace in Alexandra’s study (185) and left. When the empress entered, the room was filled with smoke. The maid had forgotten to open the flue. 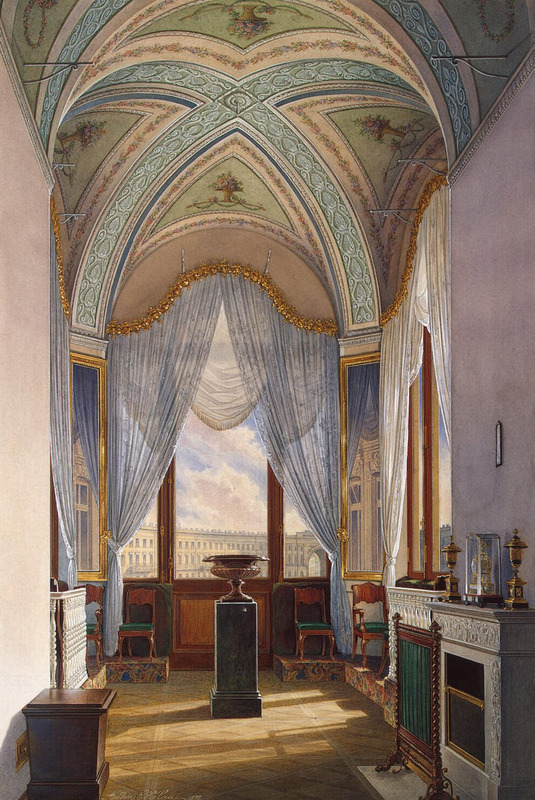 Question for you, Joanna: In the second watercolor, there are rather rudimentary brackets of some sort high up, just where the vault commences and over the windows. I count eight of them in this view. What might they be for? There is, on the plan I've got, a similar style room off The White hall, was it the same and was there a picture painted of it? 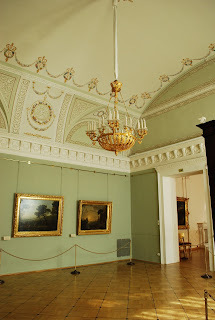 There were 59 watercolors of Gatchina Palace, a number we have not seen as yet. 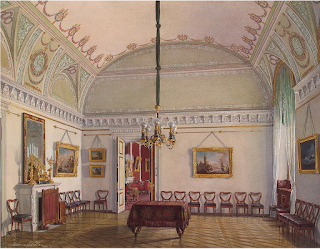 Some Winter Palace watercolors were in the rooms of Alexander II in Gatchina, lost during the war. 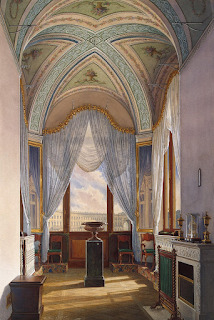 Unknown if there may be a painting of the porch room off the White Hall. 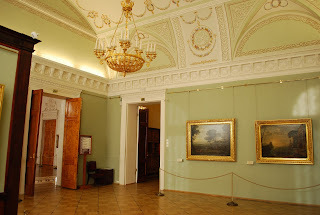 I do have a photograph showing part of the drapes at the door entrance to the room. Doors to the roof of the porch remain today.